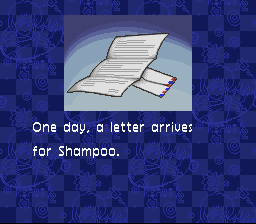 Description courtasy of Moby Games. 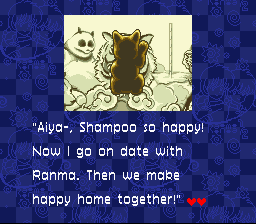 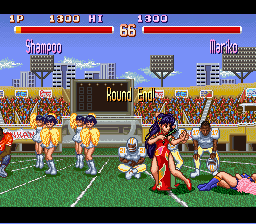 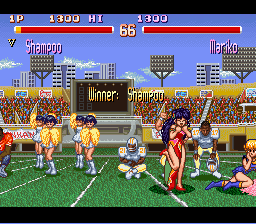 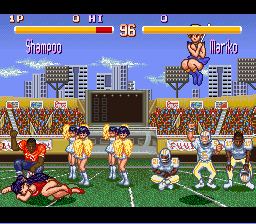 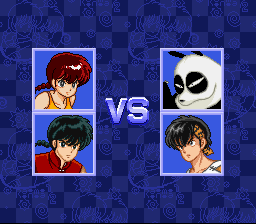 A 2D one-on-one fighting game based on the Ranma 1/2 manga series dealing with the adventures of a male martial artist cursed to transform into a female version of himself when splashed with water. 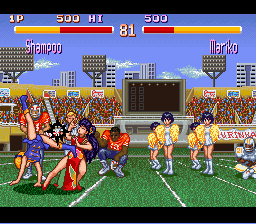 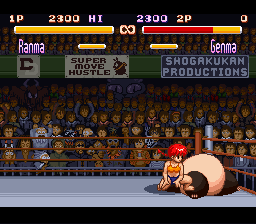 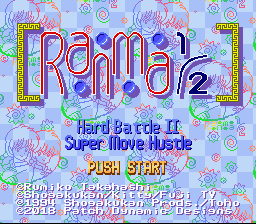 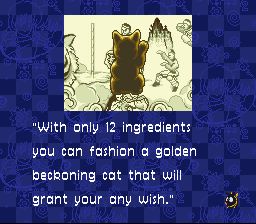 Ranma 1/2: Hard Battle II Super Move Hustle pits 12 characters from the series (including the male and female versions of Ranma) against each other in best 2-out-of-3 rounds matches, with the goal being to defeat all the opponents and thus claim a magical lucky cat that will grant the champion whatever he wishes. 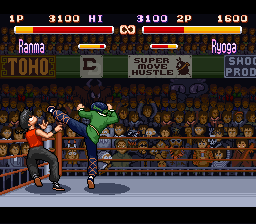 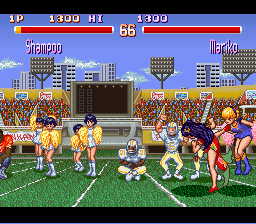 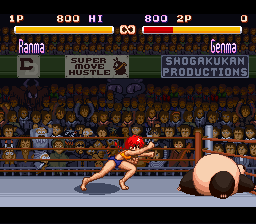 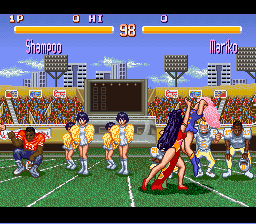 Gameplay involves controlling your character in a 2D scrolling arena, in which you attempt to defeat your opponent by using your basic attacks and special moves, all the while avoiding your opponent's strikes. 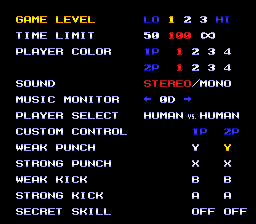 You can also charge up your character until he reaches "super" mode, which allows you to unleash super moves for extra damage, but performing any basic attack negates the super mode. 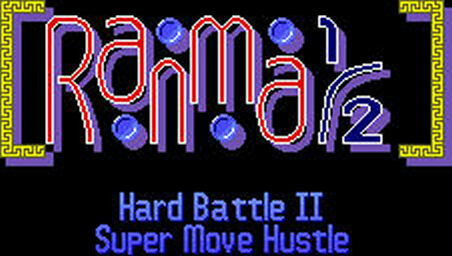 Features the standard single player and Vs modes along with a Tag Team Vs mode in which two players select a pair of characters and can exchange them in mid-fight for strategic advantage.